I’m going to a concert. Two, actually. My favorite band is reuniting after a 16 year absence so me and my friend are going to see them here in Portland on Monday and then drive up to Seattle to catch a show the next night as well. I haven’t done that since the early 90’s. 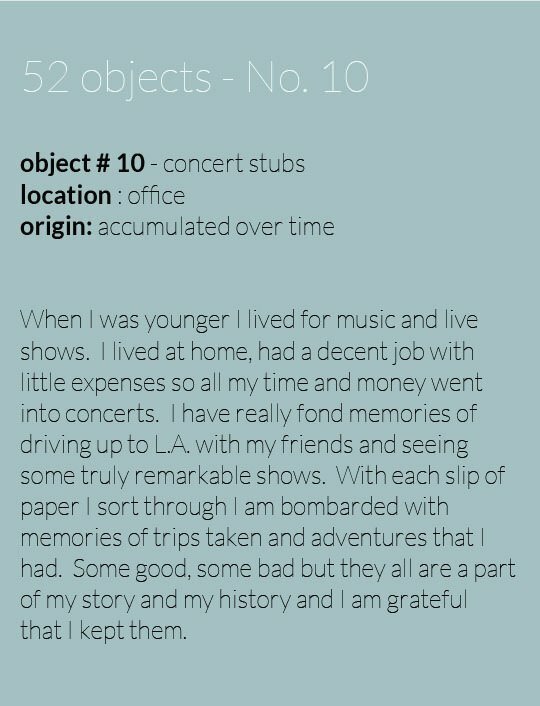 It made me think of this list and I reminded me of my box of old concert ticket stubs. Each one has it’s own little story behind it and evokes some great stories and also reminds me of some terrible experiences as well. Memories of friends I’ve lost touch with and boyfriends I broke up with. Nights of getting drunk and just letting go and having a great time without any worries or pressures. I have a sudden longing to pull out my record player and make the ultimate mix tape to share with a special someone. wow! love your taste in music! wish I had thought to save my tix…. It’s not something I started doing out on purpose but I am so glad that I did. Every single one reminds me of old friends and great times I had that I probably would have forgotten about by now. Do you have one show in particular that you really remember fondly? I love this , Tina! You have an impressive collection. 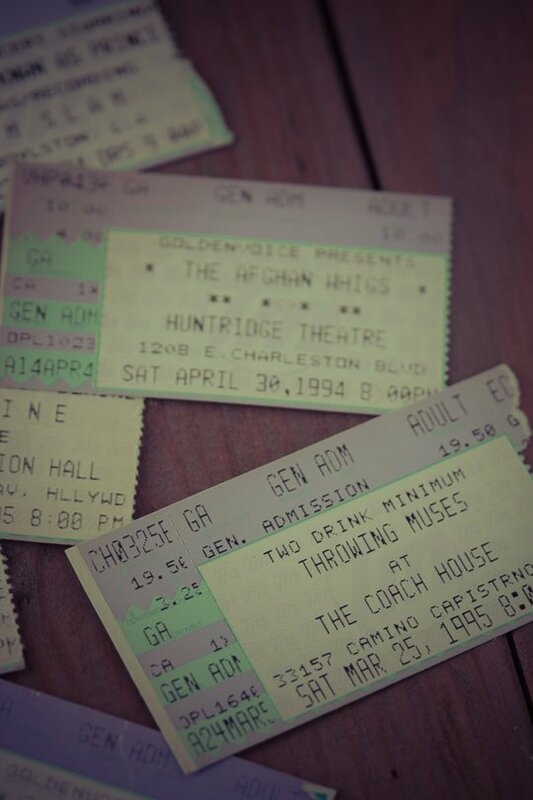 Which was your first big concert? Mine was Howard Jones in 1985! I didn’t save all my tickets, except for my extensive Grateful Dead ticket collection. They are glued inside a scrapbook. 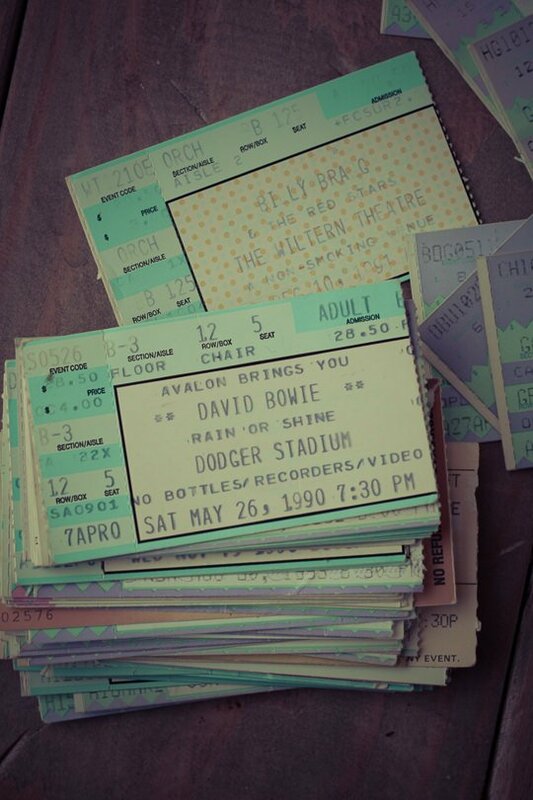 Thanks for sharing this and invoking my own concert memories for me! 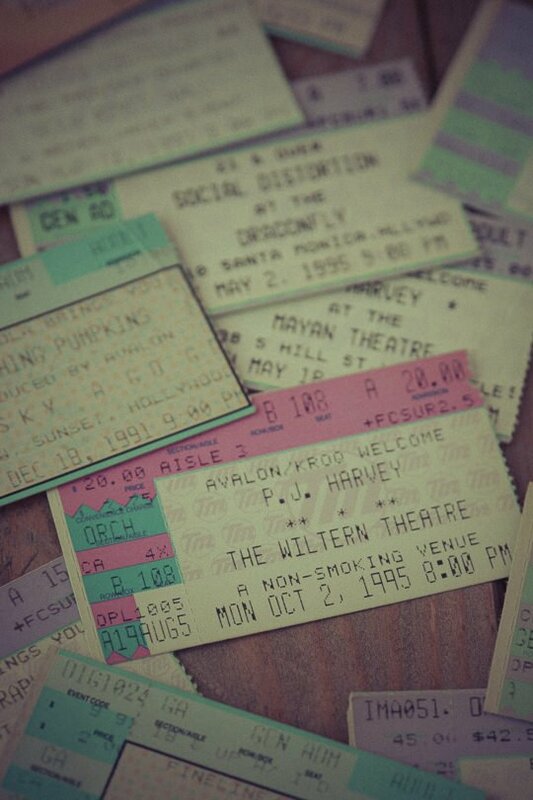 I would probably have to say the first big show I remember going to would be the Violent Femmes in 1988. I didn’t realize you were a Deadhead! I never did see one of their shows but I’ve heard they were quite the experience! Anytime you want to talk concerts I’m up for it! My husband and I were just talking about how past life experiences, both good and bad, are what make us hardy and able to tackle whatever is thrown our way. I love that you share your thoughts on life in this way. 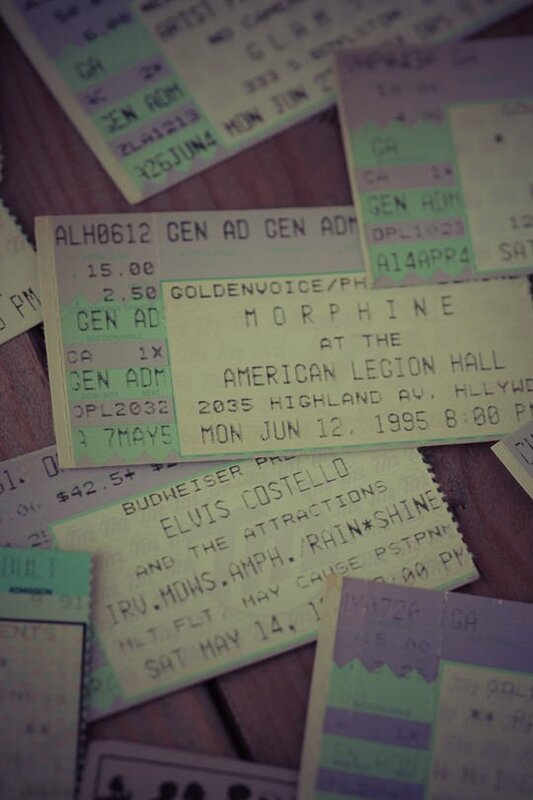 Looking back at these bring back mostly happy memories but there are a few that weren’t the best nights of my life. Every experience we have contributes to the people we become so it’s good to remember them all regardless. 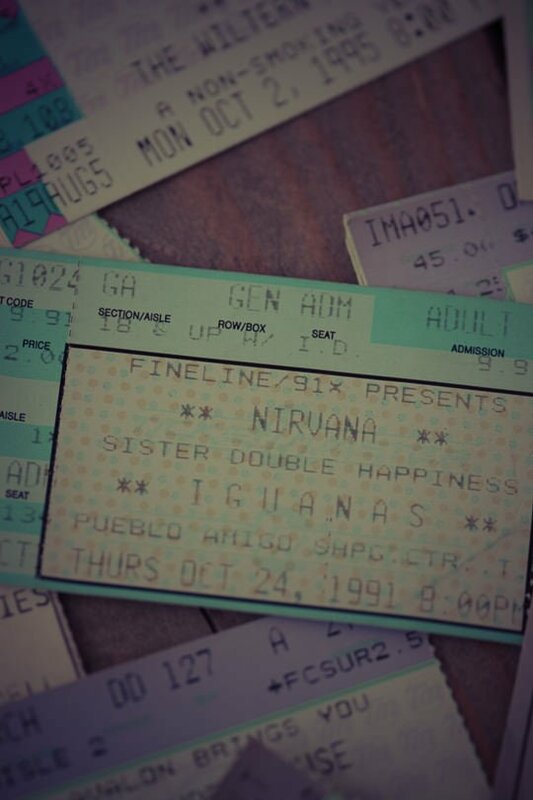 So we won’t talk about the Billy Bragg record release party( I still remember his phone number and he came to a party once at the Santa clara house), but Nirvana at Iguanas was the BEST show of all time. Not to mention stalking them in the cantina before the show. It’s a good think I like to drink, or we never would have had that pre-show bonus!!! I’ve been thinking about you a lot the last few weeks. 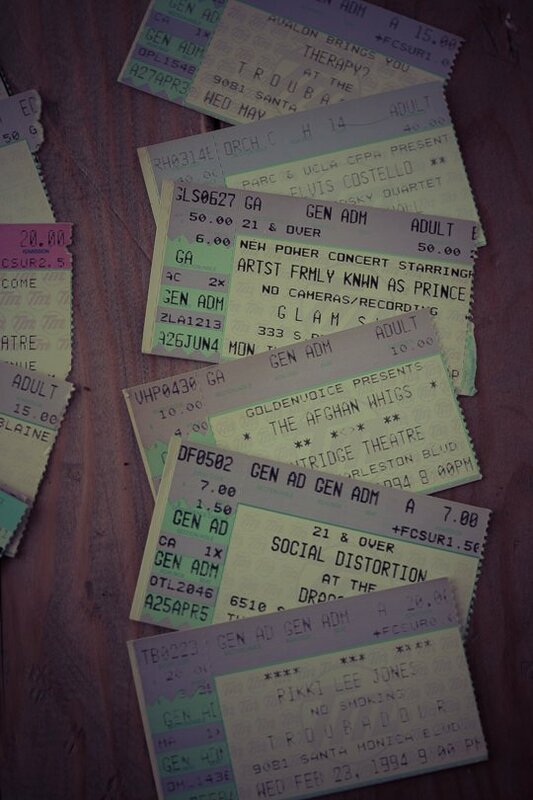 I just trekked up to Seattle to see the Afghan Whigs with a girlfriend and it made me think of all the great shows we used to go to. I’m so bummed I missed Billy Bragg when he was here a few months ago and I was just talking about that Nirvana show this morning with someone!